The cold really gives some interesting shade of color not only in images but also in reality. And I am extremely happy with Portas soft but distinct ways to reflect the colors. Can you see the cold mist which lies like a line near the ground through the the first image? Unfortunately it has not been this beautiful (or cold) for a good while now, but hopefully it will be sunny this weekend coming, and I’ll try to photograph some again. My basement renovation also put some sticks in the wheel, especially for my film development which will have to wait a while longer. But it is certainly worth waiting for, for in a few weeks is my new darkroom will be completed. Happy Days! My cameras are quite happy about it (no batteries…), but my fingers are not, hehe…. Well, my Yashica Mat is already creaking at the meager -1C we have around here. But it is in need of a CLA anyway. I love the colours. I feel for your hands! Beautiful tones Marie. Very cool (or should I say cold) shots. It’s been unusually hot here for the time of the year. More like beginning summer than winter. The plants are all confused. Should we grow? Should we stall out? Today there’s a change in the air and I think we have rain in the forecast. It’s very windy today. Gosh -22 C is like hibernation weather. Unheard of here. Have a good day. Beautiful shots! Yes, I saw the mist! 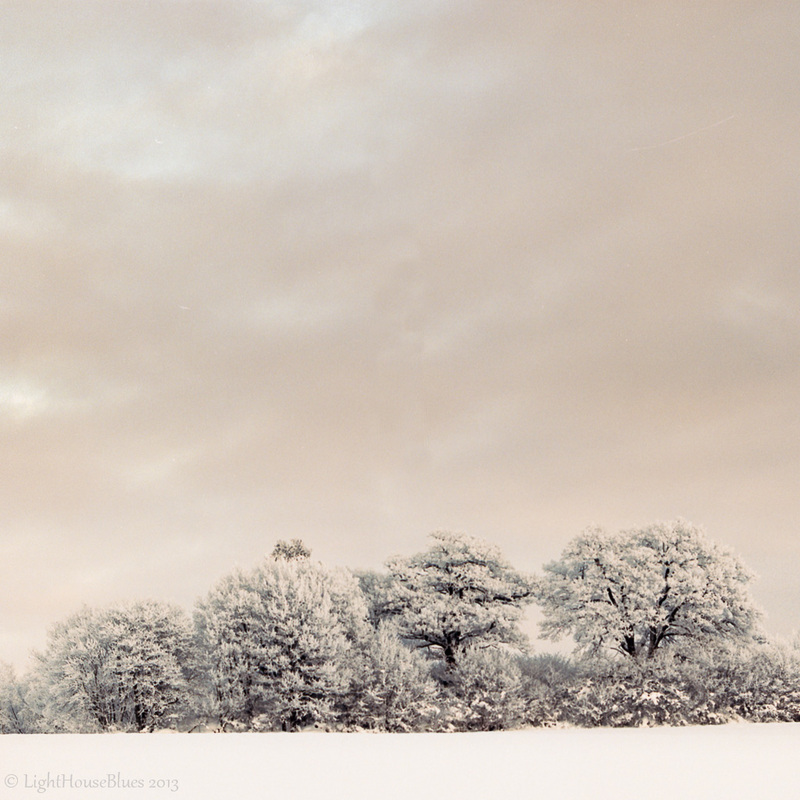 Sometimes I wish I were more adventurous during snow season because the landscapes are so dramatic! 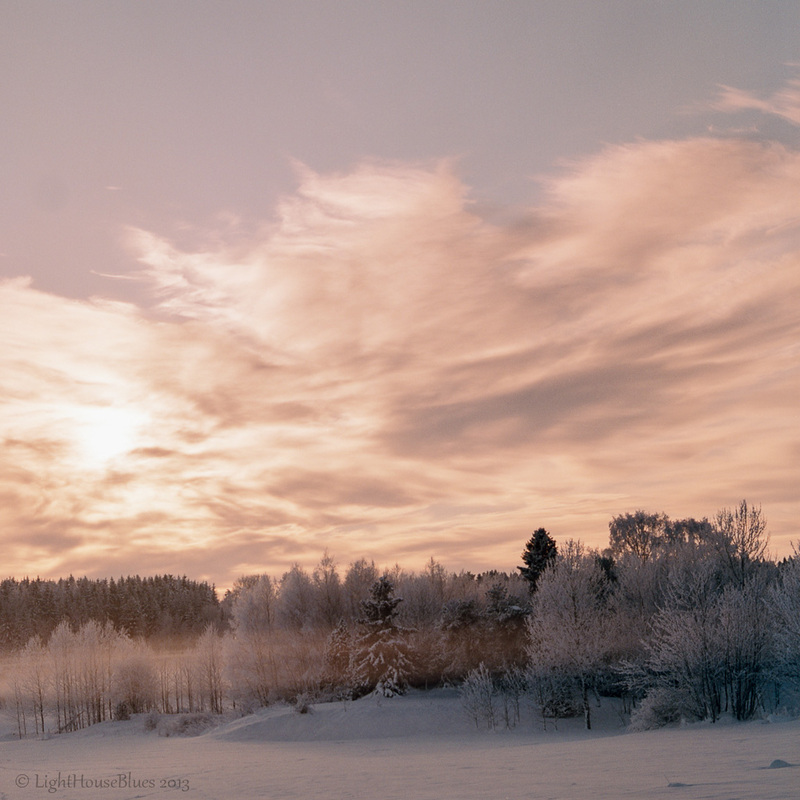 I love the movement of the clouds and the kind of pale pink tones in your images. I couldn’t even imagine what -22C would feel like, keep your hands warm! Beautiful photos! I have never seen this mist, is it common in cold weather? I grew up in New Hampshire and can remember -30 degrees F temperatures. Breath sticks in your nostrils and catches in your throat! How many degrees F is -22C? I googled that, and -22C is about -8F. The cold mist occurs when humidity is high, while it is very cold, so it is not very often, but this winter I have seen it several times already, and last winter I think I saw it just once or twice. We have in Belgium also temperatures – 10 degrees what is exceptional for our country, but not – 22°C. Rather cold, but rather beautiful ! Every time I read the -22 ‘c I get the chill lol, beautiful photo, we are going to have snow tomorrow, looking forward to it. I love the understatement in your title 😉 Beautiful images; I love the frost in the third image. 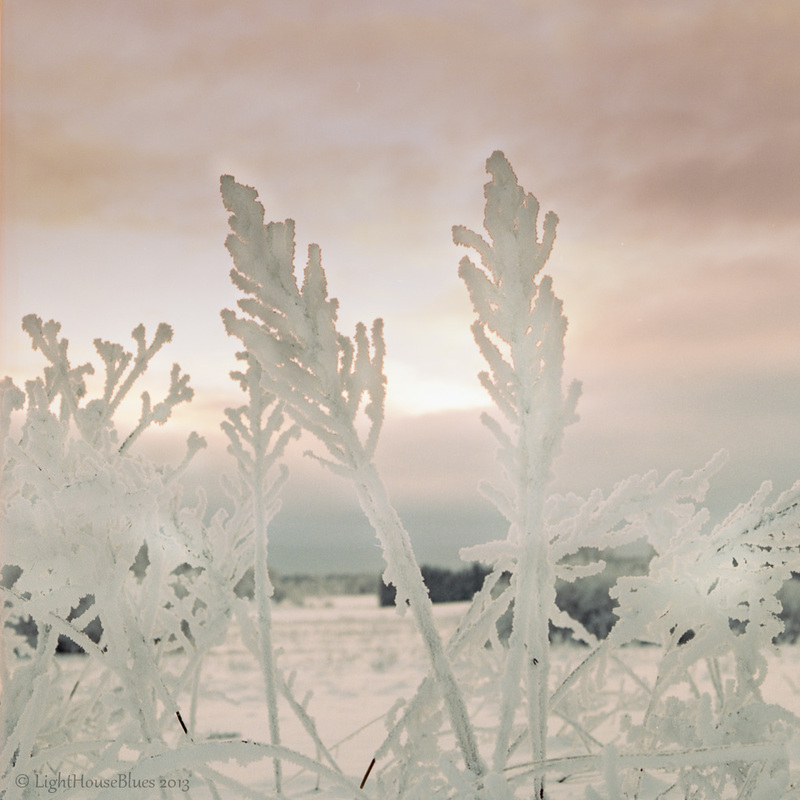 Have a great day, hope you can take a lot of winter images! these photos are stunning marie! very beautiful! As uncomfortable it is being outside then, really really cold days are wonderful (provided you can back to a safe warm place with hot chocolate) And yes, the first one looks great with the thin layer of fog! Lovely shots. Using a SWC now? What are your impressions? Marie, these are wonderful, hauntingly beautiful with wonderful tones. Thank you very much James for your kind words. Oh, the last one with the hint of colour in the background is so ethereal!